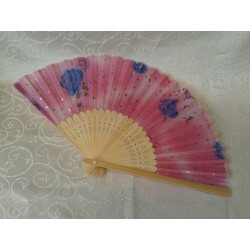 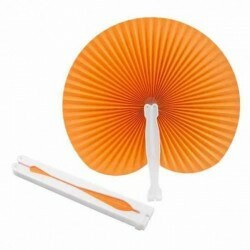 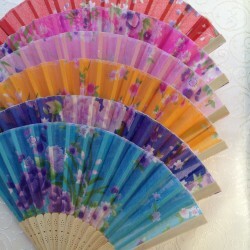 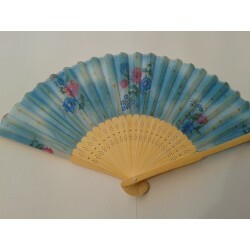 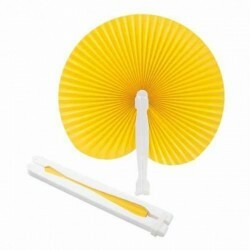 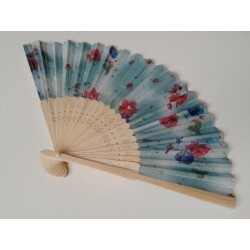 Wood fan with coloured paper and flower design. 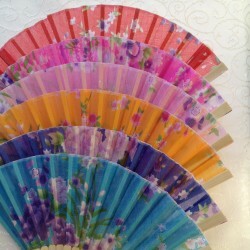 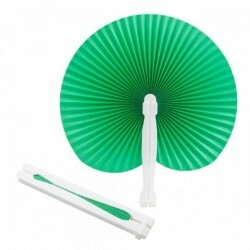 The colors are different in the box, so the fans are not delivered in one color, but in many colors combined. 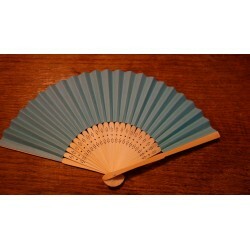 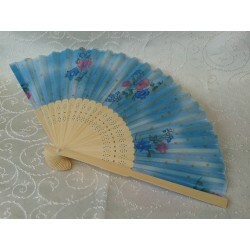 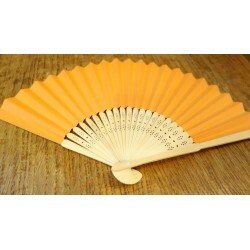 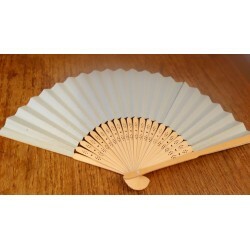 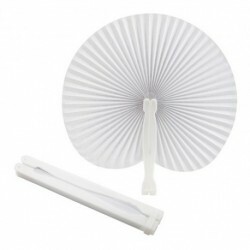 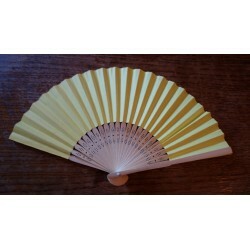 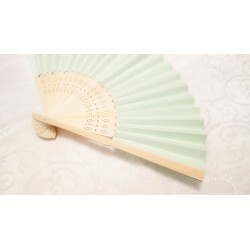 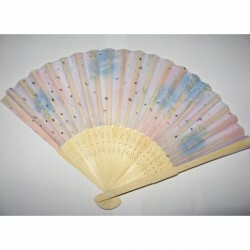 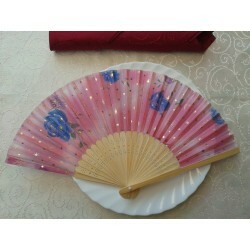 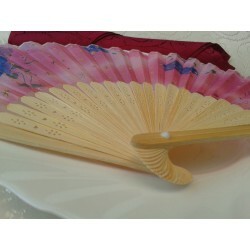 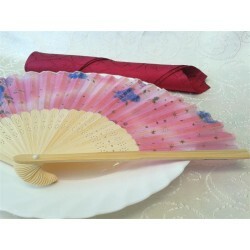 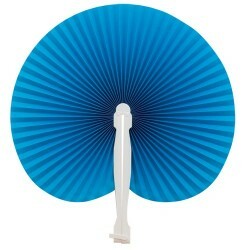 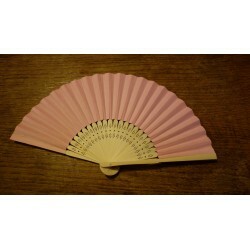 Fans make a very useful gift, favour, especially in the summer time. 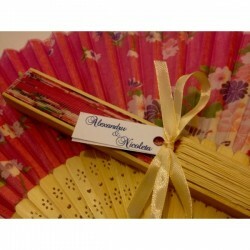 They can be customized with ribbon and note, or with writing directly on the handle. 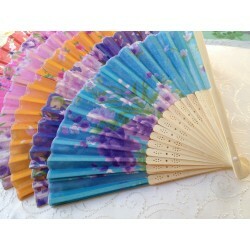 Prices for writing directly on the handle, on request.